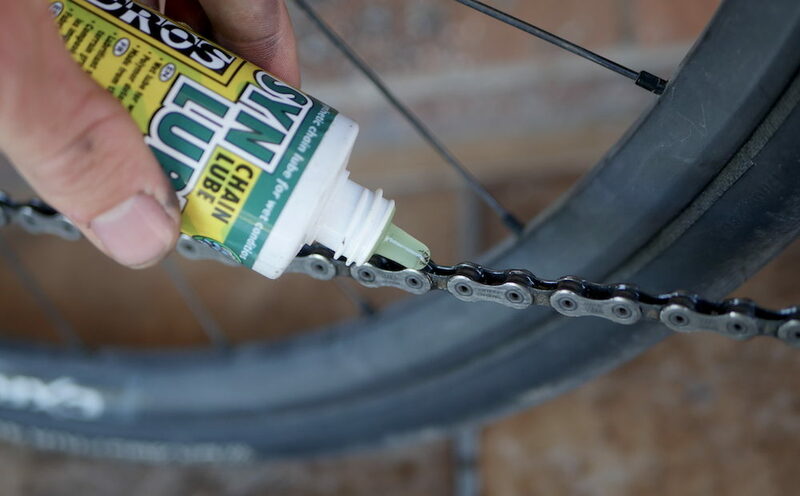 Chain lube is the key to having an efficient, fast-shifting, long-lasting drivetrain. Companies around the world spend millions researching the best chain lube formulations that help increase efficiency, attract less grit and last a really long time. While some people swear black and blue that ‘x’ chain lube is the best, you can afford to be less picky. All chain lubes work well, but the advantage of the formulated lubes is that they’ll do it better. Let’s take a look at the different types of lube, how it works, how to apply it and the best chain lube products. How Does Chain Lube Work? 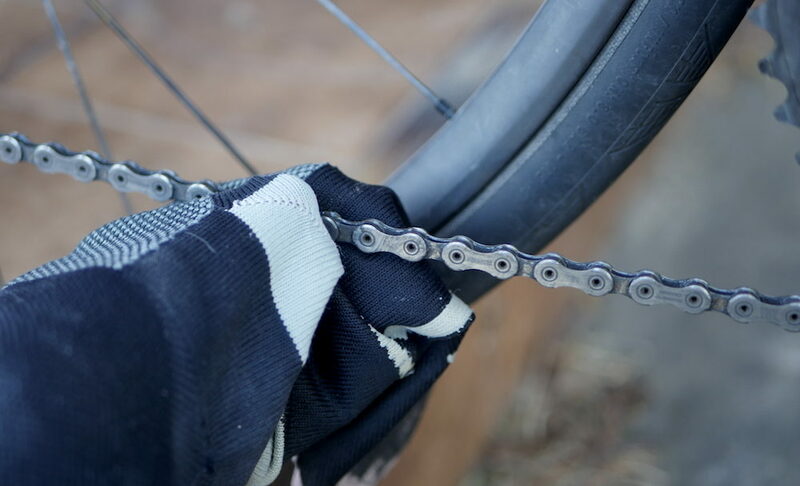 Chain lube is applied externally but is actually only necessary internally on the chain pins, rollers and surfaces between the inner/outer chain plates. As it needs to penetrate the chain, the lube should be thin enough to access the small chain components but then thick enough to last a decent amount of time. This is why many thicker automotive lubricants are not the most suitable option for your bike. The most important thing about lube is really just making sure you’ve got an adequate amount on your chain at all times. 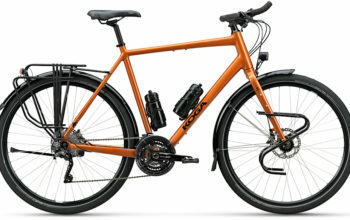 This will allow your drivetrain to last longer and be more efficient. It’s worth noting that chain lube is not necessary on any other drivetrain parts (cassette, chainrings, derailleur etc). I guess it’s called chain lube for a reason! Dry, wet and wax lubricants. 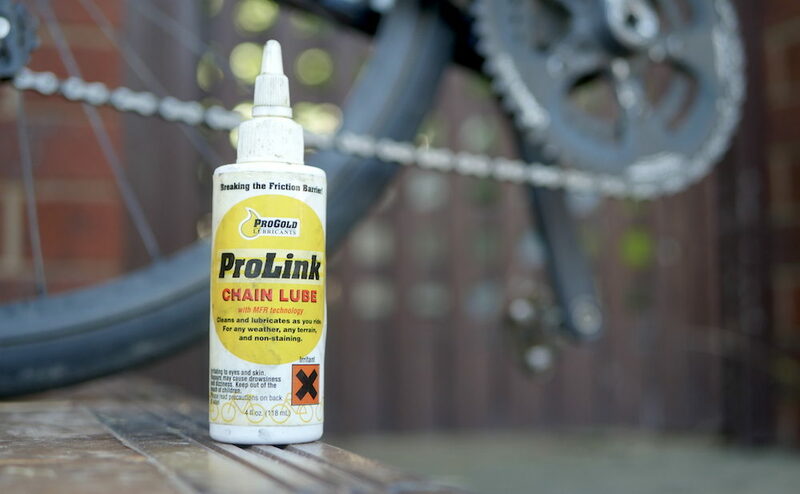 There are two main types of chain lube; wet and dry, and both can be optimised to work well in different conditions. In general, a wet lube is better for the muddy/wetter stuff and a dry lube is better for dry conditions. It can be said that you’ll need to strike a balance between lube longevity and how much of a mess the lube makes on your drivetrain! Thin-bodied dry lubes attract very little dust and grit, but will need to be applied regularly. Given how clean dry lubes leave your chain, I’ve found that they’re useful for cleaning your chain too. Just apply a coat of lube liberally, spin the cranks backwards a few times and wipe off the excess. Dry lube (plus a regular wipe-off with an old sock) is my preferred setup for bicycle touring. Gluggy wet lubes attach a film that stays on your chain, attracting grit and making your drivetrain look rather nasty. But despite the poor way I’m selling it, wet lube is awesome because it can last upwards of 1500km (1000mi) in the rain, mud… whatever you like. I recommend using a degreaser between applications to ensure that you’ve removed all grime the wet lube has collected on your drivetrain. Wax chain lubes dry onto your chain, attracting very little grime and grit, and will even shed excess dirty wax during use. These lubes are often known to be the fastest too, decreasing friction across your drivetrain by a minute amount. 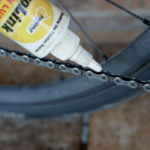 The major downsides; they need to be applied more regularly than other lubes, they’re not great in wet conditions, and you’ll want to de-grease the wax off your chain every now and then too. Using an old sock to clean my chain with a generous application of lube. Which Lube Type is Best For You? It’s all about matching your chain lube to your use. Wet lubes are fantastic for long mileage, especially in adverse weather conditions. 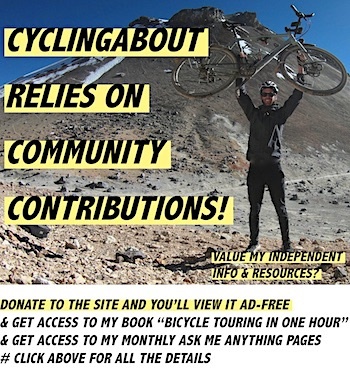 They are also great for people who are less likely to remember to lube their chain regularly! Dry lubes on the other hand, are suited to people who prefer a clean drivetrain and are happy to maintain it regularly. Wet chain lube lasts a long time but is very messy. This is my drivetrain after just 150km (100mi) in dry conditions! 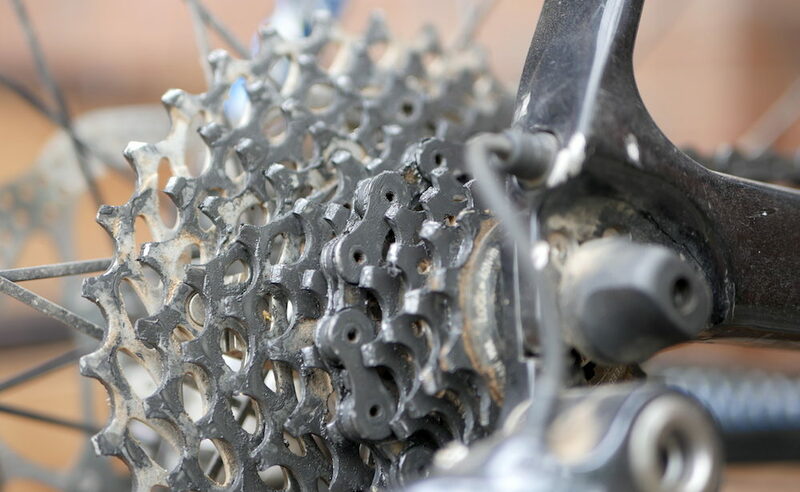 It’s best to start with a clean, dry chain surface. I prefer to use a citrus-based degreaser for this process. 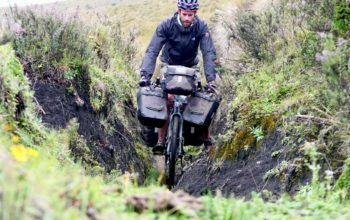 You might need to find kerosene or mineral spirits if you’re on a bike tour somewhere. – Shift into the big ring at the front, and the small cog on the back. 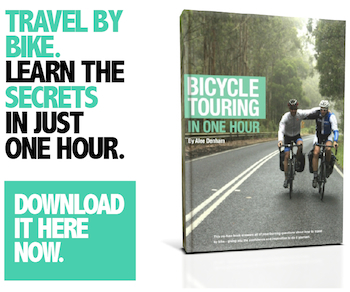 – Apply a generous layer of lube on your chain. 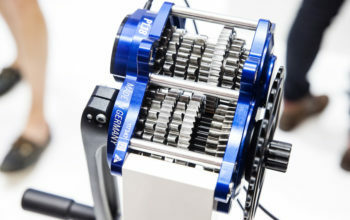 – Spin your drivetrain backwards for about 30 seconds. – Wipe off the excess lube because you only need the lube between the chain links. – Let it sit overnight in order for the lube to penetrate the inner chain pins and rollers (if you can). 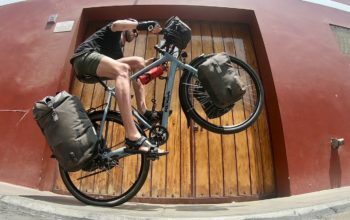 – I like Prolink as it often lasts long enough for two long road rides, or a day in the dirt. Cleaning it off is exceptionally easy. – Boeshield T-9 is another thin lube, but with the added benefit of a bit of wax. – Rock “N” Roll The Gold is another very popular lube with a touch of wax that tests well. – I like the Finishline Wet lube. It’s my go-to anytime it rains or I’m encountering mud. 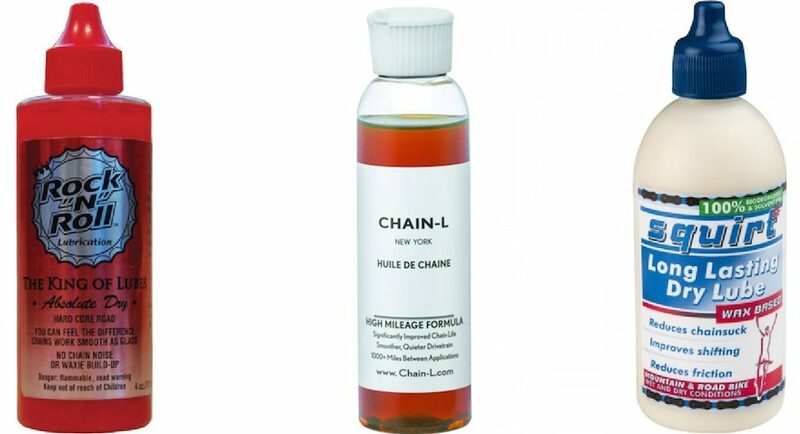 – One lube that gets raving reviews is the Chain-L product. 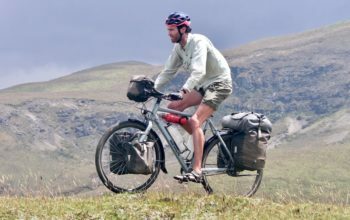 Some users claim 1500km (1000mi) between applications. – Rock “N” Roll Extreme has a pretty loyal following for its longevity, and tests well in terms of efficiency. – I like the Squirt product. It is 100% biodegradable, it sheds over time, and it’s known to be the fastest lube available. – Pedros Ice Wax 2.0 has very similar properties to Squirt.